Jia’s friends must all be wealthy. What shocked Jia has been documented by a large-scale joint survey conducted by China Merchants Bank (CMB) and Bain & Company. The two organizations recently published the 2013 China Private Wealth Report, which uses rigorous statistical modeling to quantify China’s newly rich and their investments. In this report, they use the term “China’s High-Net-Worth Individuals (HNWIs)” to describe this class, which they define as individuals with at least 10 million RMB (approximately US$1.6 million) in investable assets. According to the survey, 56 percent of respondents in this group said they are considering emigrating, or already emigrated from China. Another 11 percent said they did not plan to emigrate themselves, but their child was either considering or had already finished the emigration process. This is striking because it basically indicates that three out of five wealthy mainland Chinese are looking to leave the country. The report also indicates that the proportion of wealthy Chinese with overseas investments has doubled to 33 percent since 2011. Clearly, Chinese HNWIs are increasingly seeking overseas asset allocation for risk diversification and investment opportunities. The outcome of this report was also supported by another survey conducted by a major Chinese newspaper: Economic Information (Jingji Cankao). In August 2013, Economic Information conducted a nationwide large-scale survey focusing on Chinese entrepreneurs’ “sense of security.” 45.71 percent of the respondents in the survey reported already emigrating from China or being in the process of doing so. A major problem this survey identified is the amount of anxiety felt by entrepreneurs in China. 42.86 percent of the interviewed entrepreneurs said they experience “high anxiety,” and another 35.71 percent experience “moderate anxiety.” Only 1.43 percent of respondents were free from anxiety. As for the source of their anxiety, many entrepreneurs cited a lack of security. The reported suggested that Chinese entrepreneurs’ insecurity had two sources: the weak rule of law in the country and the lack of regulated business norms. In the CMB and Bain & Company report, on the other hand, Chinese emigration is driven by several factors. The most prominent are environmental issues like air pollution and the low quality of drinking water and food safety. Many people are also worried about the education of their children as well as their own retirement plans. The report did not mention any political reasons. On the other hand, some newly-rich Chinese citizens have clearly been influenced to emigrate by the political climate. In a recent media interview, Wang Shi, a Chinese real-estate tycoon, said that if Bo Xilai had come to power in Beijing, many businessmen like him would have considered emigrating from China. 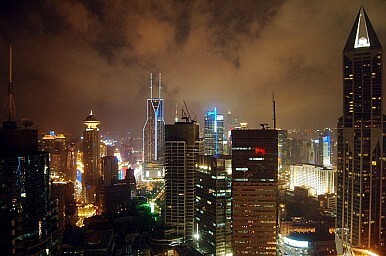 After learning of Bo Xilai’s activities in Chongqing, especially the manner in which Bo dealt with local entrepreneurs, Wang Shi became quite frightened. In Bo’s famous campaign against Chongqing’s “black society,” he sent many entrepreneurs to jail without proper due process and also seized their property. Many of these entrepreneurs were later found to have had no relations with the so-called “black society.” As Wand Shi said, if not because of Bo’s wife’s murder and his deputies’ escape to the U.S. Consulate, Bo might have seized national power and Chinese entrepreneurs would have suffered. After Jia posted his Weibo, Zhang Ming, an outspoken professor at the People’s University, posted a Weibo with a more political message: “The new administration has just been working for one year. The mood of disappointment and despair has been proliferated everywhere as everybody has been thinking about one thing: ‘How to emigrate?’” The post was deleted within the hour. After Deng, President Jiang Zemin was the friendliest of Chinese leaders to the entrepreneurs, which was exemplified by his famous “Three Represents” ideology. According to Jiang, the Communist Party should represent “advanced productive forces, advanced Chinese culture and the fundamental interests of the majority.” That is, the Party can be all things to all people, promoting the interests not just of workers and farmers, but also those of wealthy entrepreneurs and university professors. Many entrepreneurs even joined the Communist party during this time. During the two decades under Jiang and Hu Jintao, however, a serious rent-seeking situation emerged in which a corrupt alliance formed between officials and entrepreneurs. The best example is the relationship between Bo Xilai and his entrepreneur friend Xu Ming. Xu provided funding for Bo’s family and in exchange, Bo provided political support and business opportunities to Xu. With the current anti-corruption campaign, many Chinese entrepreneurs have been arrested because of their relationships with corrupt officials. This seemingly impending doom must also be a factor contributing to the anxiety Chinese entrepreneurs are experiencing – the majority of entrepreneurs have special relationships with Chinese officials. It will be interesting to watch how Xi’s anti-corruption campaign develops especially with regards to how he handles Chinese entrepreneurs.